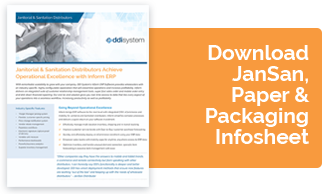 DDI System’s Inform ERP Software drives DPA Members to go beyond operational excellence to exceed customer expectations. Inform strengthens the most progressive distributors by providing the tools to compete in an ever-changing competitive environment. DDI System's end-to-end solution is a fully integrated, real-time system that ties every aspect of your operations into a seamless workflow. Simplify sales and order management, purchasing and inventory management, financial management, strategic pricing, business reporting, performance analysis, eCommerce, and warehouse automation without complex add-ons. Capitalize on customer engagement opportunities - threaded CRM drives critical customer information throughout daily management screens. 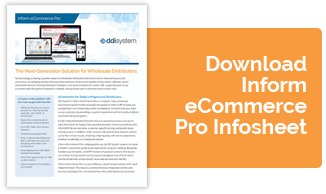 Incite loyalty with real-time ERP-connected eCommerce with integrated inventory, images and product information, storefront customization, self-serve customer portals, and B2C payment processing. Increase field sales productivity with mobile solutions to see products, pricing and stock levels on the road, making it easy to deliver orders and quotes for exceptional territory management. 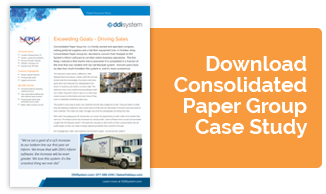 Learn how a purpose-built ERP gives industrial, safety, JanSan and paper/packaging industry distributors leverage over the competition and improves daily operations. Complete the form today and we will get in touch with you for a personalized demonstration to see Inform ERP in action. *Offer valid for new proposals only. Cannot be combined with other offers. Deposits must be received by August 1, 2019.